The workers at the Akure South Local Government Secretariat was this morning chased out by some rampaging Fulani herdsmen following a disagreement. According to Punch Newspaper online report, it took the intervention of the Ondo State Commissioner of police, Mr. Gbenga Adeyanju, and the Commandant of the Nigeria Security and Civil Defence Corps, Mr. Pedro Ideba, who deployed their men in the council, before the situation was brought under control. 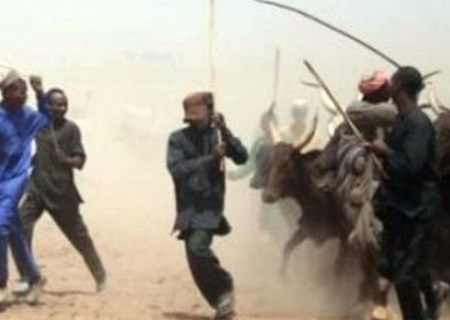 The report says one of the workers of the council was allegedly macheted by the herdsmen. The members of the Nigeria Union of Local Government Employees are asking the government to act on the matter. The secretariat was deserted by the workers, some of whom returned home after the incident.